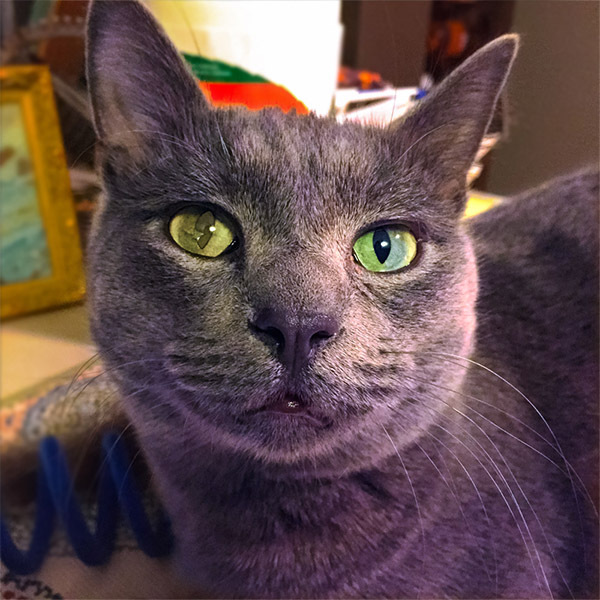 Today’s PAWS spotlight is on “Moonshine“, a name given because the family owns a distillery. Despite being rescued from an abusive household, Moonshine is one of the most loving laid back cats you will ever meet. This just goes to show what a family love can do for an animal’s personality. Moonshine lives happily with her family of two adults and two teenagers and two small dogs. Other than being the perfect social house cat who greets every visitor, Moonshine’s claim to fame is her green and yellow eyes.